Voice Actor: Jeff Mattas and Emily Reese. 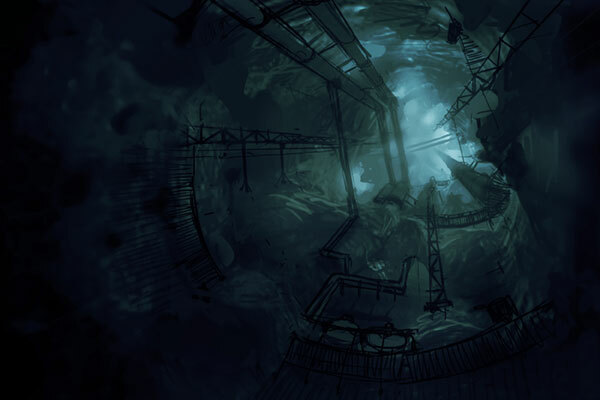 We take a deep, deep dive into the abyss and explore the development of Narcosis; a survival horror game developed by Honor Code. Discover how the developer came up with the concept and how they made the story and voice acting just as important as the other elements of the game. 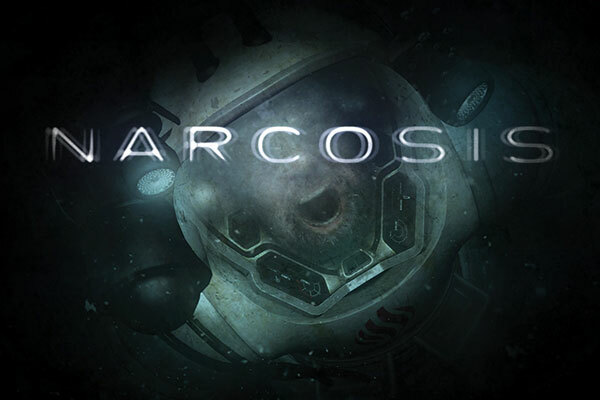 As someone who loves the horror genre, I was pretty excited about Narcosis. Once I played the first few minutes of the game, I noticed that the voiceover and narration was an essential part of the development process. But how much of a role did this play compared to the other aspects of making the game? Another thing that caught me at the start of the game, was the environment you survive in. Was this environment chosen by the team because it emphasizes the survival genre, or is there a different reason behind it? Aloha. My name is Quentin De Beukelaer, and I am the director of Narcosis. Basically, it consisted in building the original vision of the project, in terms of gameplay, setting, storytelling, and tone, and working in relation with each of the “field specialists” — art, design, narrative — in order to achieve an engaging and congruent experience. Aloha Quentin! Can you tell us where this idea came from? From the abyss, of course! 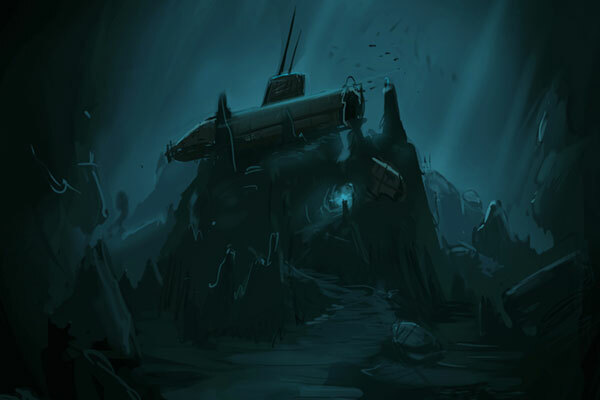 Actually, I wanted to make a game about deepwater exploration, on a mysterious fully oceanic planet. Something with a lot of procedural generation, a sort of “No Man’s Ocean.” I was playing with this idea for a few weeks when the survival horror element arrived to feed on my first idea, like a big morbid tick. The morbid tick absorbed all the vital energy of the exploration pitch, eventually becoming bigger than it, and Narcosis was born. As the leader of the band, finding the right balance between the original vision of the game and each individual perspective was a real challenge. It could be simpler to put my blinders on and religiously stick with my original vision; but doing so, not only may you frustrate your mates, but also you risk overlooking a good idea that didn’t appear as such in the first place. Changing your point of view on things is hard, especially when you spend time detailing and honing that point of view. It was hard for all of us, but I think that building something, which I consider a collective work of art, is a very exhilarating reason to wake up for, even during the darkest days of winter. To be honest, at some point, and with the help of personal problems flooding my mental basement, I kind of burned out. But the team stayed strong for me and helped me get back on track. 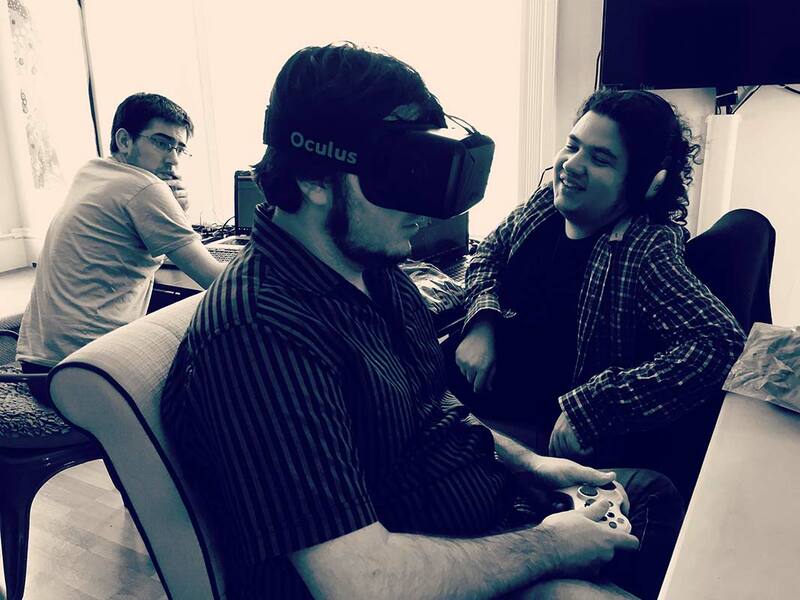 When we built our first prototype in late 2011, Oculus Rift wasn’t even kickstarted yet. It’s later down the line, when we could put our hands on a DK1 that we considered adding VR to the project. It was such a good fit that many people today assume that it was meant to be a VR experience from the ground up. Here I’ll take the opportunity to stress on something: Making games is all about dodging, countering, bypassing, overcoming technical limitations. Intellectual challenges, every day. It’s no wonder why so many brilliant programmers are entering the field, regardless of the money they can make. To all video game programmers: Thank you for teaming up with us and dealing with our crazy ideas. The entire field wouldn’t exist without you. I’m David Chen, and I was the writer for Narcosis. Just like everyone on the team, I played many roles throughout development, including working with artists, collaborating with and coaching the voice actors, and running our business and marketing efforts. But it was the game’s narrative, and the possibilities that held, that caught my attention and brought me on board. Before I signed on, when the game was still a student project, the impact of Bioshock was still being felt on several levels, all across the industry. The ability for games to tell more sophisticated or thoughtful stories was important for the team: Dear Esther, Gone Home and Telltale’s The Walking Dead series were also all releasing around this time. More specifically, the underwater setting was really intriguing. Quentin (the game director) was heavily influenced by an assortment of books such as The Divine Comedy and The Diving Bell and the Butterfly, and films including Fight Club, Jacob’s Ladder, and The Usual Suspects, all of which feature untraditional narrative structures. When I signed on as the writer, and the story really began to take shape, I turned to nonfiction to help ground the game in a sense of realism. We took a lot of inspiration from non-fiction, true-life survival stories such as Touching the Void, A Rock and A Hard Place (which was made into the film 127 Hours) and Into Thin Air. Players of the game will also know that talk radio was very influential; specifically, the celebrated interview show Fresh Air, which has been on the air for 30 years, now. 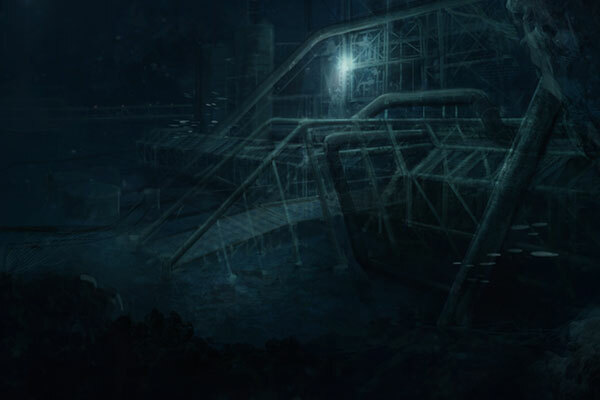 We’ve said from the start that Narcosis features a “phantom narrative.” There are really two stories in the game: what the player is seeing and doing (the gameplay, basically), and the story they’re hearing told throughout that journey. Both are important, and both are “true.” What we hope makes those two tales interesting, is seeing and hearing how they overlap, juxtapose, and occasionally, seemingly contradict one another. 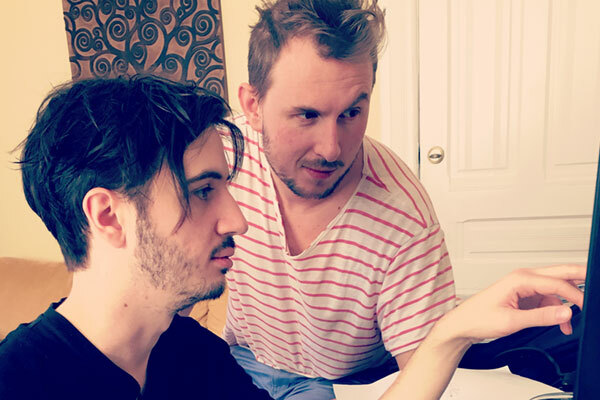 We didn’t use any particularly unique tools to craft the story, although Google drive and the various apps within it were essential in keeping everything organized, with regards to the story and everything else. Specifically, an assortment of sprawling spreadsheets helped keep everyone abreast of the numerous changes (and there were many changes) to the story and V.O. over the course of several years, and also helped keep us sane when it came to localizing the game. We’re pretty proud of having launched the game in 11 different languages; as a story-driven experience, it was important to us to try and deliver the game’s narrative subtleties to as wide of an audience as possible, as clearly as possible. One challenge that’s relatively unique to developing Narcosis was that we’re actually juggling two (or maybe three?) narratives concurrently — even if they’re not always apparent to the player. Creating an extensive world bible helped us to maintain consistency (i.e. the slang and terminology used, the exact times and dates of key events, or the circumstances of various NPC’s deaths); so much work was channeled into creating a complete, plausible world, even if most of that effort is unseen and unheard by the player. The overall arcs were established early on: that the protagonist is swept up in a serious catastrophe, and that he survives. But the specifics were constantly shifting for various reasons, not least of which was the fact that the actual game was being built! So it was necessary to constantly pull things apart and stitch them back together, in order to make the in-game events work smoothly with the V.O. narration. This was pretty painful at times, but I can confidently say it ultimately helped us deliver a leaner, more effective narrative. On top of that, the narration was an especially tricky beast: as the story’s being told in the past-tense, there’s a certain level of detachment. This also reflects a bit of survivor’s psyche — this was a truly traumatic ordeal, and it changed him profoundly. Because of that, many of the lines were written, recorded, reviewed and then rewritten and rerecorded dozens of times over the course of several years – to convey a subtle detail or bit of foreshadowing, or just to wring a bit more emotion out of the delivery. Is the story just as important as any other aspect of the game? Although this is true for many games, with Narcosis, it’s the story that really motivates the player to persevere against seemingly hopeless odds, and see (and hear) how it all ends. We establish right from the start that the protagonist survives — he says as much in the first moments of the game — but what we hope is interesting to the player are the particulars. How did he survive? What did it take, and what did it do to him? Who, if anyone, did he encounter along the way? People who’ve played the game know there’s a bit of a “twist ending,” but we determined early on that a compelling narrative had to trump a clever conclusion. As cliched as it sounds, it was really important when writing this story, that the survivor’s journey carry as much weight, as the destination. How did he survive? What did it take, and what did it do to him? What part of the story do you feel proudest of? For me, it’s the ending of the game — it really felt like the whole team’s efforts came together to deliver something truly compelling. Without revealing too much, there’s this sequence of events — navigation, interaction, what you’re seeing and hearing — that leaves a lot of players wide-eyed in disbelief, and full of doubt. I’ve watched a lot of streams and let’s plays of the game, and seeing so many players’ genuinely emotional reactions — a few have even been brought to tears — is incredibly rewarding. It’s not a perfect game by any means, and there are things we all wish we could have changed. But for those players that stick it through to the end, it seems, it’s a journey worth taking. One thing that really bears mentioning here: the incredible voice-over work of Jeff Mattas and Emily Reese, both of whom made their video game V.O. debuts with Narcosis. Jeff was so eager to do the best possible work, and we spent, hours, days, weeks and even years fine-tuning every line you hear in the game (and several hours’ worth of content you don’t). 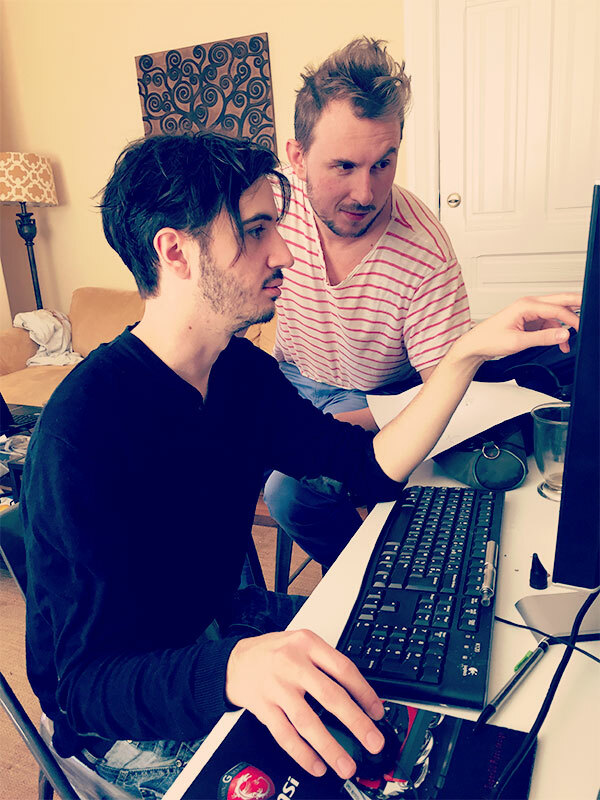 We were literally reconsidering, rewriting and re-recording some key lines a few days before the game shipped, while Jeff was in the middle of moving cross country — he’s that dedicated. At the start of all this, I was the writer, and he was the actor. But by the end he was a partner: we were both so deep inside the protagonist’s head, that bouncing ideas back and forth, and discussing what he would or wouldn’t say or think, became easy and enjoyable. More than that, it just felt natural. At least as much as any other aspect of the game, it’s Jeff and Emily’s performances that really make players take note. It’s a little bit like localization: people tend to notice and comment on V.O. when it’s really bad. So, for so many people to make mention of the quality and emotional impact of our V.O., is really encouraging and rewarding. 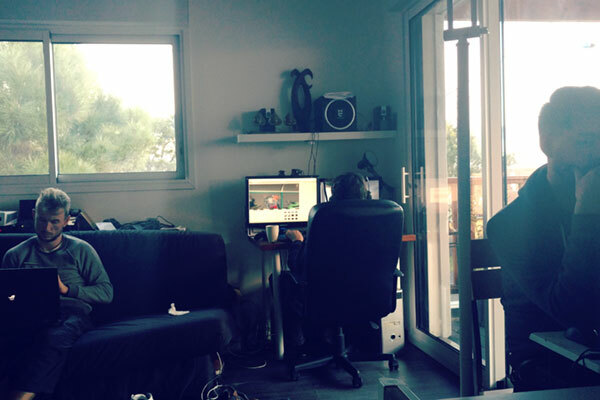 Hi, my name is Benjamin Perrot, I’ve been the lead artist on Narcosis. 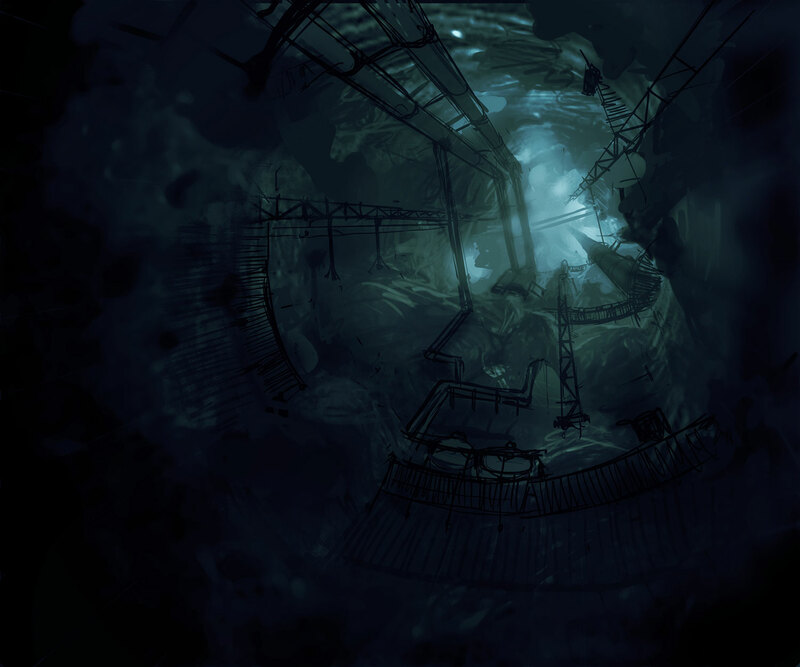 The inspiration to explore this kind of setting came first and foremost from my general fascination for it, I guess, the general idea of the dark, unexplored abyss. I had seen some pictures or footage of strange deep sea creatures of course, but I knew nothing about it. Looking at references came in a second time when we started to try to shape ideas around this theme. 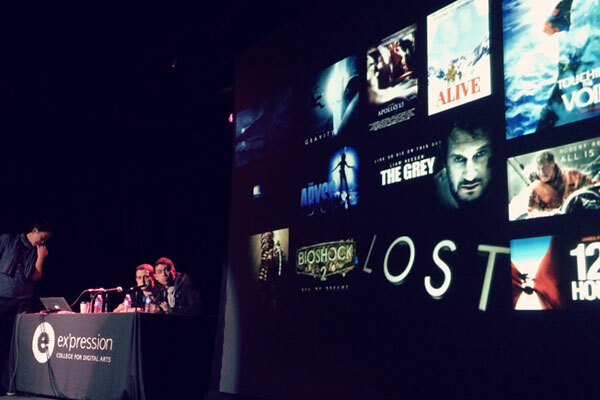 We looked at movies like The Abyss by James Cameron, Sphere, Leviathan, and of course Bioshock. 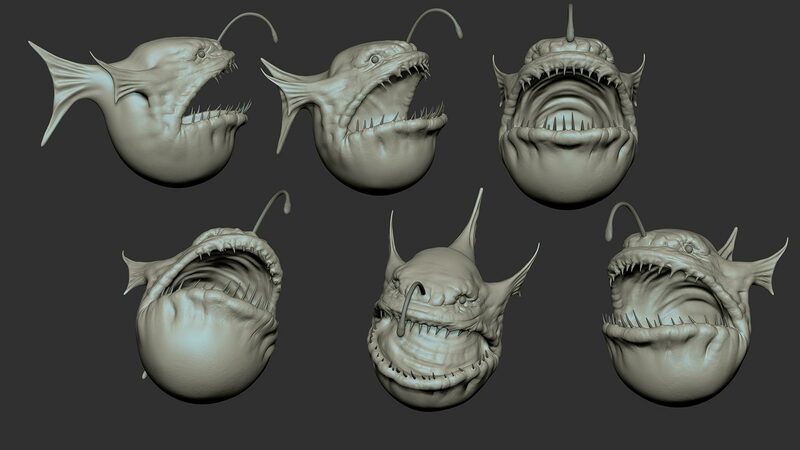 One of the global rules was to try to make them look “realistic,” nothing too stylized or fantastic. To try to reproduce what you would see if you were really there. 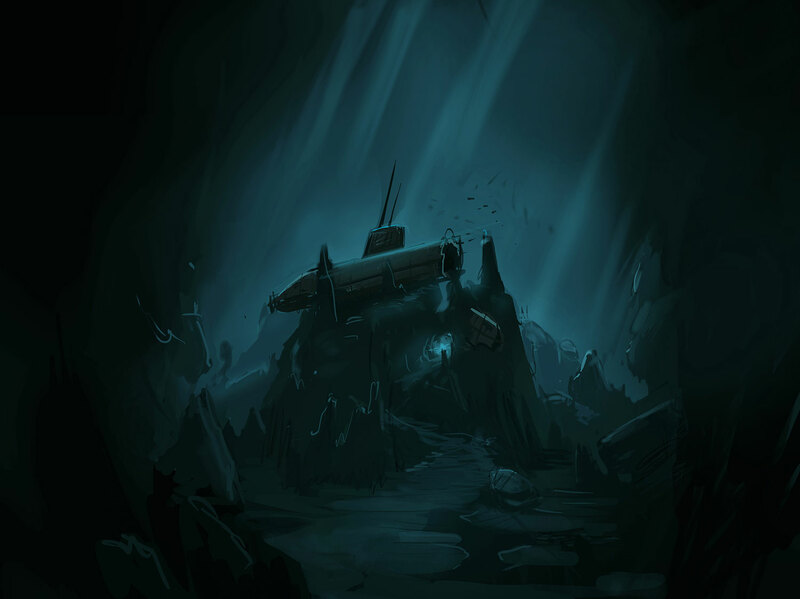 It was tricky because, for the exterior environments, you can’t really rely on existing photo references because of the lack of visibility, they only show bunch of rocks or a small stretch of seafloor. As for the underwater habitats, they don’t exist! So I looked at Antarctic research stations or space stations and tried to create something coherent from that, which would look more nautical, like submarine interiors. Also, the rule was to try to make it look like people really lived there, which was done by adding a lot of (more or less subtle) details. We used concept art or moodboards (assemblage of different images) mainly. Level designers would also block out scenes using basic geometric shapes directly in the game editor, and I would work from that. 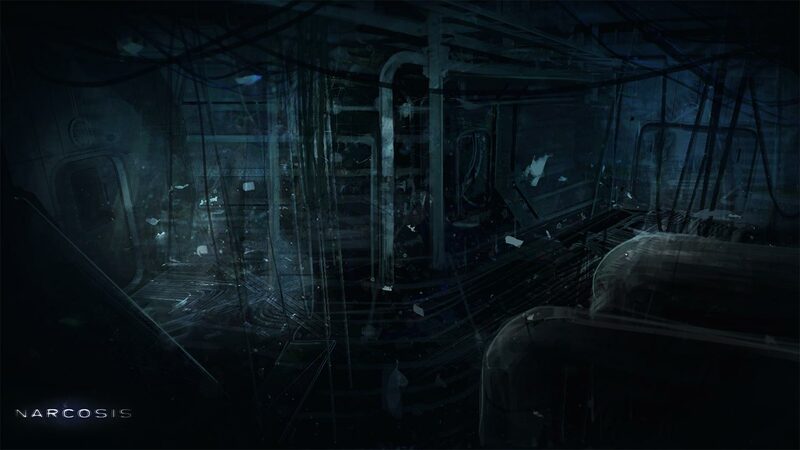 It was really a matter of identifying the elements which from the concept art created this atmosphere of dereliction, such as floating papers, hanging cables, blinking/faulty lights, a general “post-catastrophic” sense and make sure to add these details in the final product. 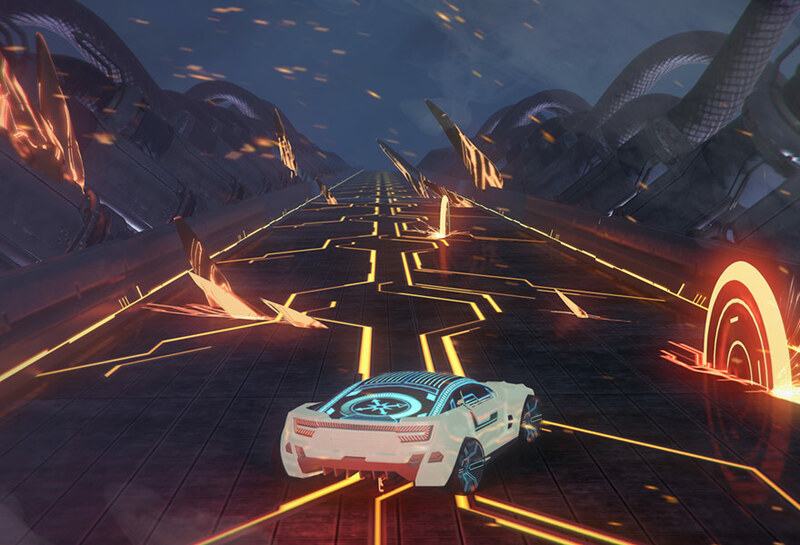 But the atmosphere really came together with the post process and the lighting, which was constantly tweaked during the production of the game. We tried to differentiate ourselves from the fact that while the ocean is our main environment, it is set in the deepest part of it: the abyss. So, in contrast from how the ocean is usually portrayed — bright, full of multi-colored corals and dense schools of fishes — the ocean in Narcosis is more dark, wild, monochromatic, hostile, alien in a way (from the use of plants and fauna which are only found at extreme depths). One of the most iconic elements of that world are the black smokers and tubeworms, which are used profusely in one of the levels of the game. For the exteriors it was how to find the balance between making a natural and organic environment, while at the same time making the path clear for the player. The players would often be lost, or retrace their steps inadvertently, fall off a cliff by passing inside a hole between rocks, so we constantly had to be cautious of that and find ways to make the player progression flow smoothly. It was a lot of back and forth between playtesting and tweaking. The game has Japanese spider crabs, cuttlefishes, anglerfishes, octopuses, bathynomes, and a lot more! We could say we chose the creatures based on how iconic they were of the setting we chose, how original and interesting they looked, and how they stood out from what people already know about the ocean, in order to give a uniqueness to the game. For the creatures which actually interact with the player, we chose creatures which had the potential to allow for interesting interactions. For instance, cuttlefish and octopuses, because they could grab the player’s helmet with their tentacles, or spit ink clouds in the player’s face. We looked at lots of photos on the internet or in books, and documentaries about the deep sea. 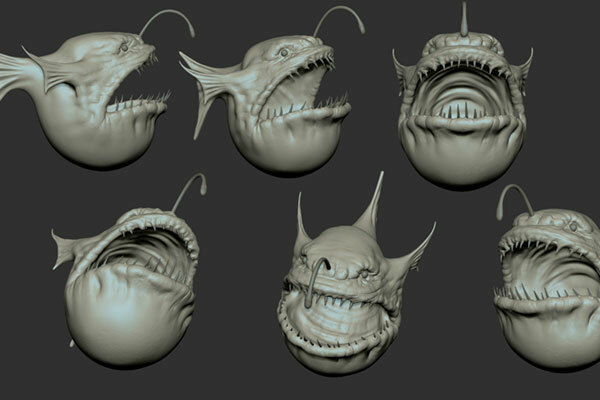 The guideline, at least for the enemies was that they had to be both look scary and realistic. 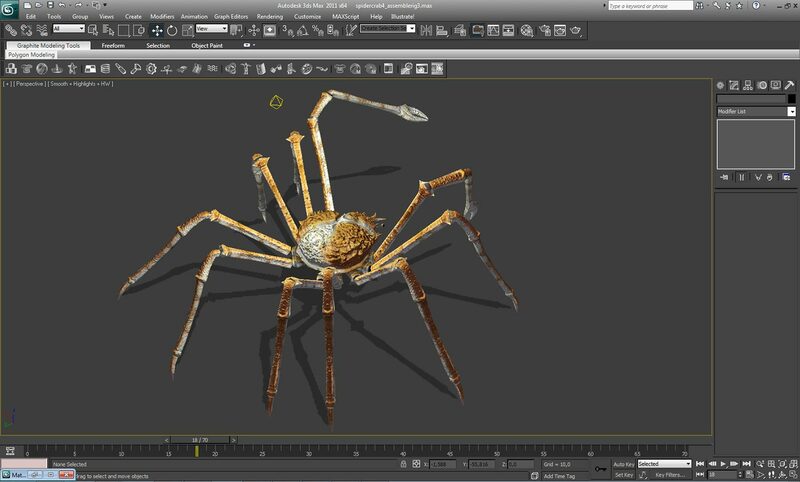 That meant starting from a real creature but exaggerating the scale or certain features. It was a matter of finding that balance between something horrific enough to frighten the player but still remain believable, like a creature you could actually find out there in the ocean. 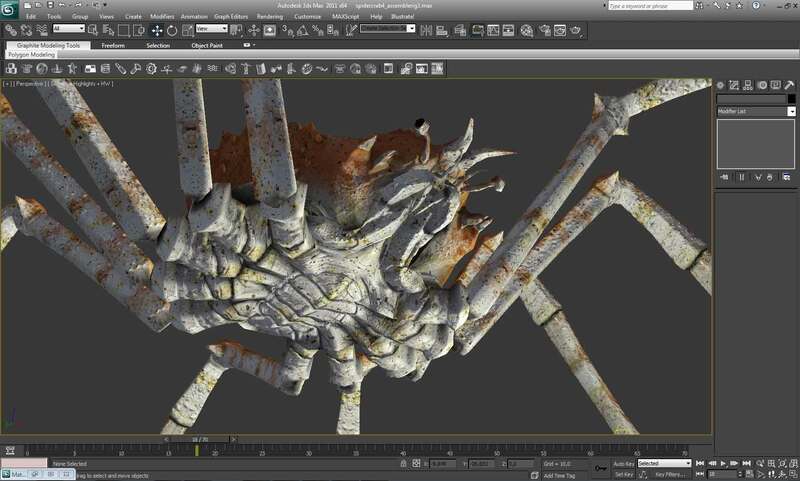 There could be concept art in Photoshop, then to ZBrush for the high-poly sculpt, and finally 3ds Max for the final mesh, rigging, and animation. 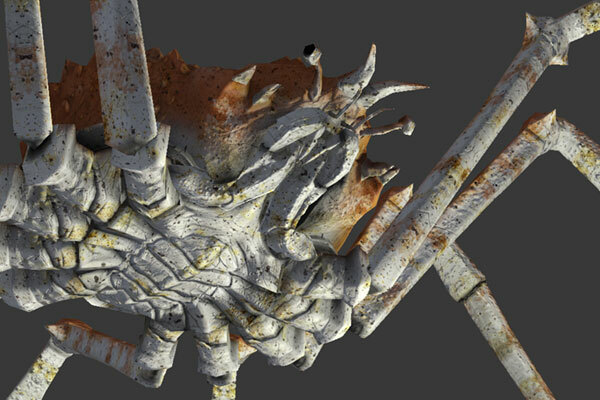 Texturing was done in Photoshop and Substance Painter. 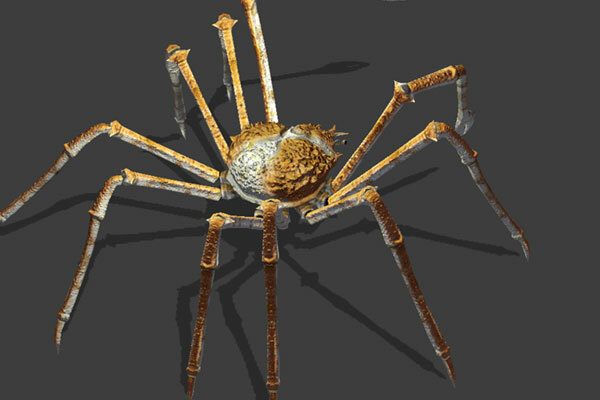 We had other ideas, for instance, a colossal creature that the player would encounter during different sequences throughout the game, but it was scrapped. Another idea were aggressive leech-like worms which would agglomerate on the player’s faceplate and stick there, which the player would have to get rid of one way or another. 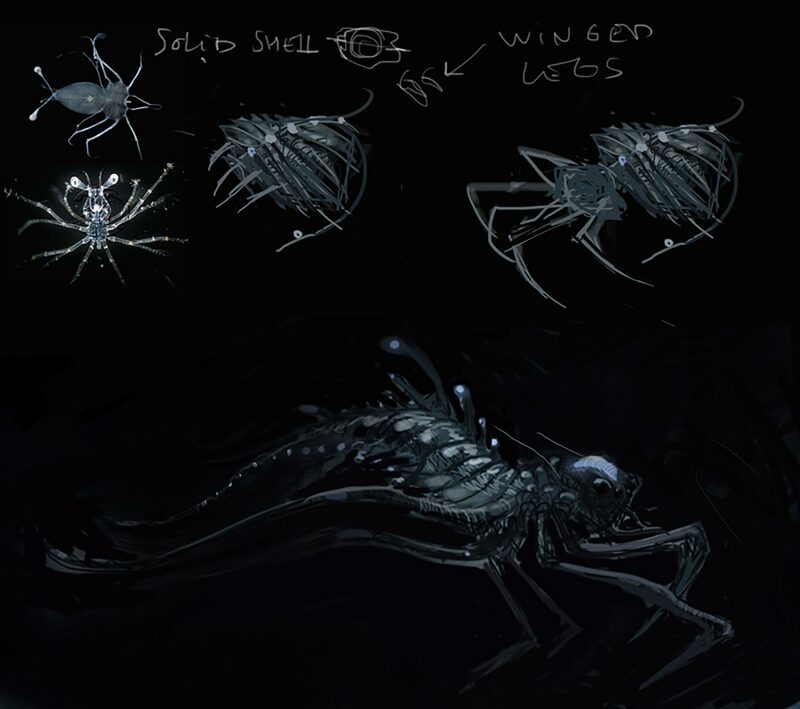 Early in the development of the project, when the concept of the game was still blurry and we didn’t have strong guidelines on how realistic looking we wanted the game to be, I designed creatures which were very alien looking. 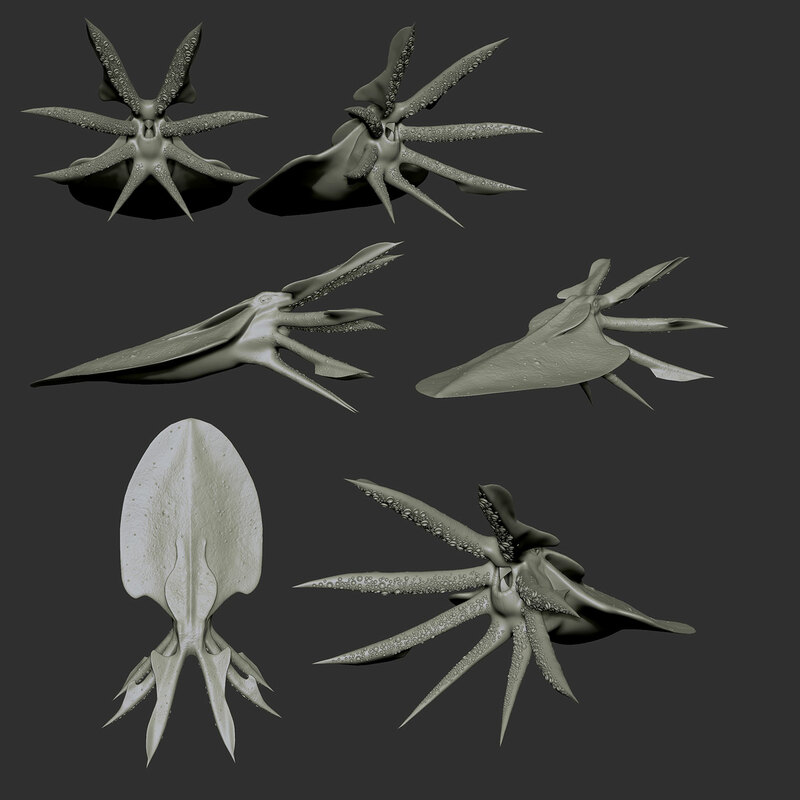 One of them even got modeled and rigged, but it was scrapped later when we clarified the vision we had for the project. Animation, without a doubt. On our first tests, the creatures swimming looked very robotic and this bothered us a lot. 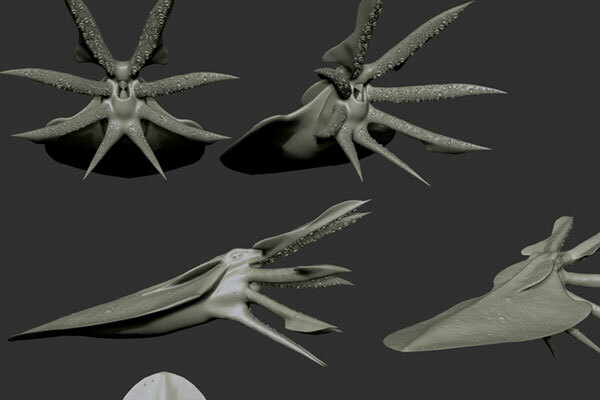 We found it was really challenging to achieve that natural fluidity when animating sea creatures, especially when they turn. With the help of the programmers we managed to find some solutions to counter this problem. 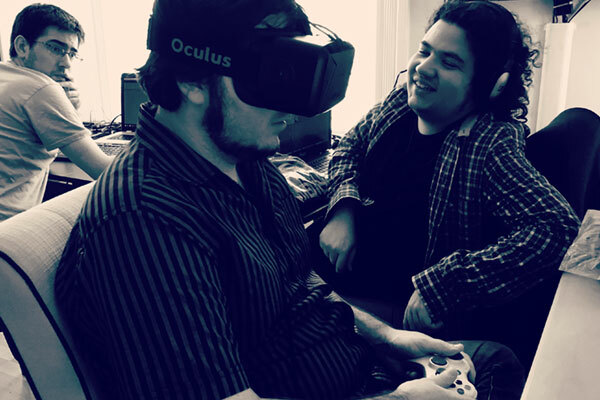 My name is Edwin Maynard and my role on the Narcosis project was QA Lead / Production. I’ve been in the industry for roughly ten years, most of it focused on quality assurance. My responsibilities regarding Quality Assurance extended to all areas of the project, and then some. As we were a small team, each team member did a number of things outside of their named roles. From the QA side my focus was ensuring that the overall user experience met the high quality standards that we set for ourselves as a team. I think I was first contacted about the Narcosis project back in December of 2014. We had a few conversations where I acted in an advisory role. Several months later I was able to sit down with the team and provide feedback on their GDC demo build. From that point on through October of 2015 I was moonlighting on the project nights and weekends. It wasn’t until that November that I officially came aboard full time. If I had to quantify where the production was at that time, I’d say we were in between alpha and beta milestones. From the beginning I was helping out when I could on nights and weekends. At that time it was mostly checking that the golden path and various demo builds were stable. We also try to always think about the user experience, and how to reduce friction. The scientific method is one of the most important tools in the bag. It’s the basis for replicating observed bugs, validating that features and mechanics are functioning as intended, and ensuring that the software behaves consistently under a number of scenarios. We also used the suite of Google docs for defect tracking, production notes, and design documentation. After a defect was discovered on device, I’d attempt to reproduce the issue in the editor (Narcosis was developed in the Unity engine). Depending on the type of defect I’d attempt to fix the issue myself or gather additional information to help debug the problem. 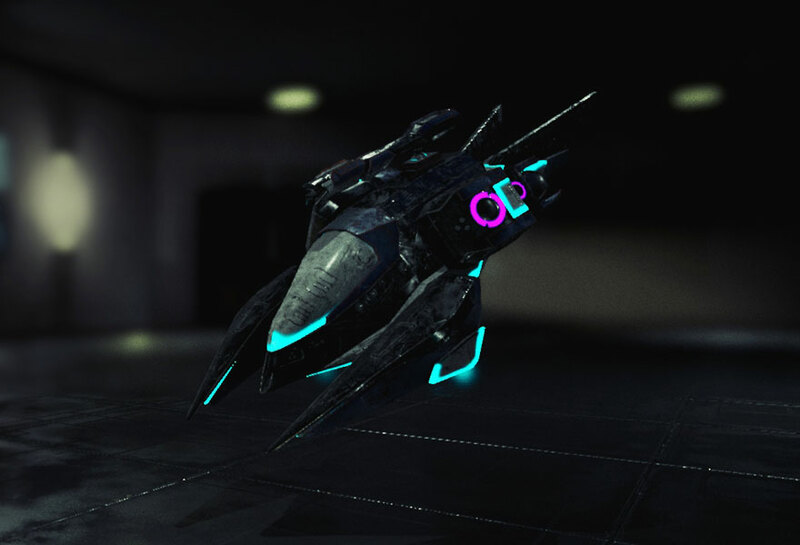 From a technical standpoint this meant that someone on the team (typically myself) had confirmed on a build that a feature was implemented as designed — or that a bug was no longer reproducing with the known reproduction methods, and halo testing around the changes. We also try to always think about the user experience, and how to reduce friction. Part of the process was to raise concerns and outline potential risks to the overall user experience. For the most part I’d apply standard practices and process that I’ve learned from my career in video game development. However as this was the first VR title I’ve worked on, there was a learning curve associated with that. At times I’d have to physically limit the amount of time I spent in VR, as playing through unoptimized sections of a level could cause debilitating nausea. There was a lot learned, both from a QA and production perspective. For myself this was the first VR project that I had worked on. Needless to say there was a lot to learn about the technology, vernacular, and implementation of VR specific systems. This all added an extra layer to the QA process where you have to be conscious that it (VR) adds an extra wrinkle to the equation. As a whole I learned a tremendous amount as I personally was involved in a number of aspects of the development process, including but not limited to testing, production, marketing, writing, and publishing. Fortunately since the game is single player, narrative driven, and fairly linear I was able to tackle most everything as a single analyst. To be honest the majority of the hurdles were related to time and space — in that we operated in a true virtual office across multiple time zones, with the majority of the team all residing in different cities across countries. It took a lot of energy to stay connected with everyone on the team, to know what was changing in the code base (and why), and testing everything twice (VR and “flat” presentations), not to mention the number of skus we were developing (PC, Mac, Xbox One). It was a lot of work. David and I had a lot of late night sessions in the office where we’d pick a “fun task” to do. Most of these were ideation sessions where we’d throw out a ton of ideas and then refine them. Sometimes we’d jump into the editor and start prototyping things, a lot of which ended up in the final product. I’m Jeff Mattas, and I was brought on board relatively early-on as one of the lead voice actors. A bit later in development – still before our first formal V.O. 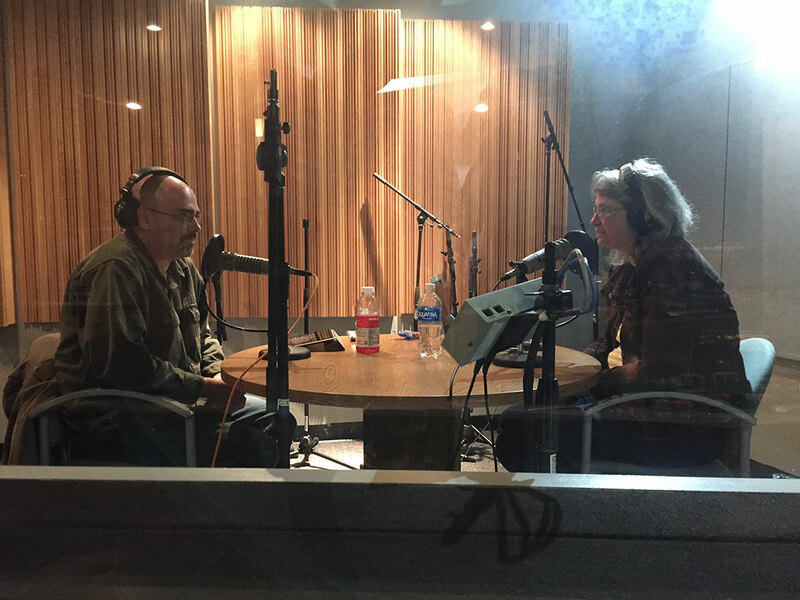 recording session – David and I realized that we collaborate very well as writers, too. Besides V.O. work, I ended up contributing quite a bit to the script, text for in-game collectibles and the tie-in book that was published on Kindle. I play the role of the industrial diver who is the sole survivor of the Oceanova disaster – the catastrophic event that sets the story in motion. My character is analytical to a fault, and though he “plays well with others,” he’s really a loner at heart. Not a people person, but very smart, very capable. A problem solver. He’s the kind of guy you’d want on your side when the going gets tough. My name is Emily Reese, and I’m a voice in Narcosis. I play Emily Kahler. My role is a bit spoiler-y, but Ms. Kahler is the host of a radio show called Open Air. She is a well-prepared, focused interviewer who listens carefully to her guests and cares about what they say. It wasn’t a huge stretch for me, since I interview people all the time in my full-time radio job, and also for a podcast I host. I really was playing myself, except that the character is way more together than I am. It kind of felt like cheating! So, when David described the character to me, it seemed like a “simple” enough role to play. Jeff: Garnett Lee, my friend, former boss and host of the Weekend Confirmed podcast (where I was a pretty regular 3rd or 4th chair), knew I was really interested in getting into V.O. work for games. His friend David Chen (also a former boss/colleague) mentioned that he’d been working on a project and did he know anyone who might be interested and right for “the survivor” role. Garnett put us in touch. 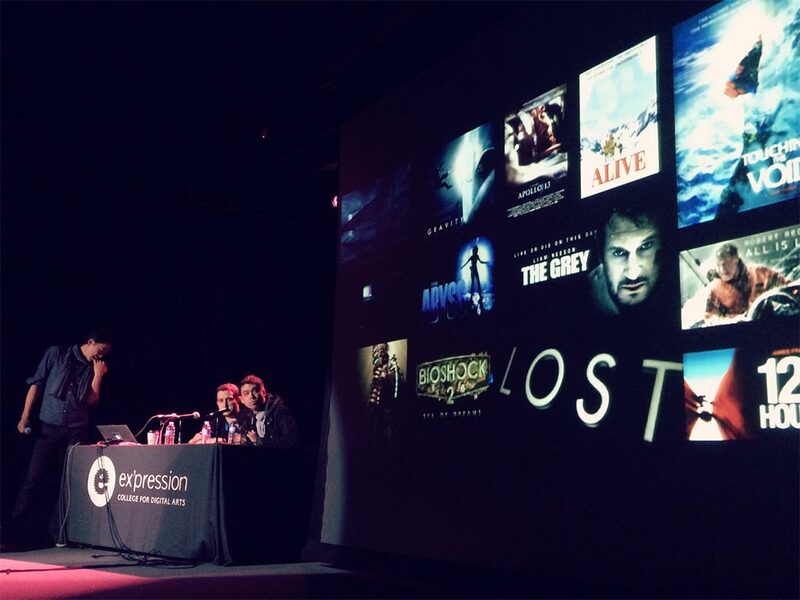 Once I learned the rough premise – “Industrial Diver Trapped at the Bottom of the Ocean,” and got a glimpse at the incredibly ambitious and unconventional narrative structure, I knew I wanted to be as involved as I could. Emily: I’ve never had any other roles. I’m not the real deal like Jeff, I don’t have a demo or anything. I host the Morning Show on Jazz88 here in Minneapolis, where I live. I also host a podcast called Level with Emily Reese, where I interview composers of video game music, and other people who work in game audio, like sound designers or voice actors. 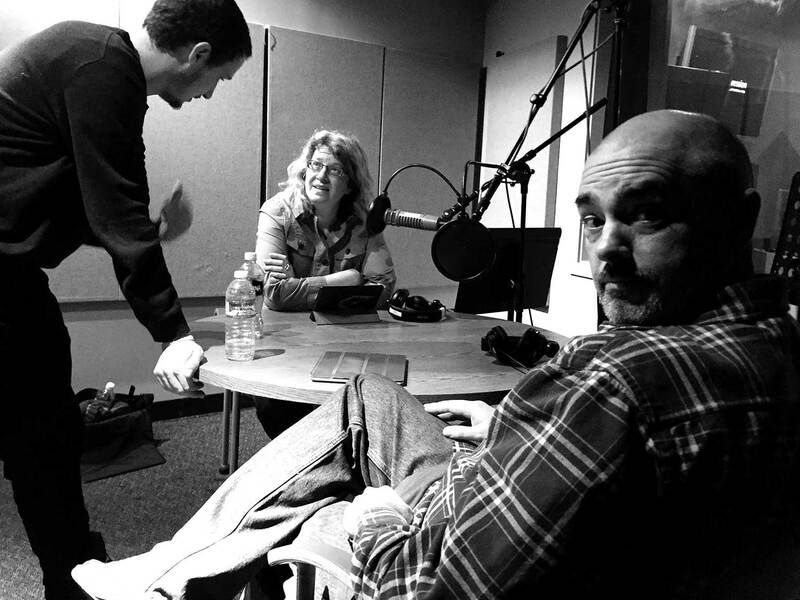 I’ve been in public radio in some way since 2005 and I like it quite a bit. Jeff: I signed on to do the V.O. work. Did a bunch of “placeholder reads” into my phone so that they could be implemented in the test environment to evaluate general things like pacing and content. As levels changed and evolved, so did the script. Somewhere in there I bought a mic and set up my own closet recording booth in my apartment. David hooked the team up with a sound design school up in Berkeley so that we could all record in-studio, which was great. No mocap, just audio. 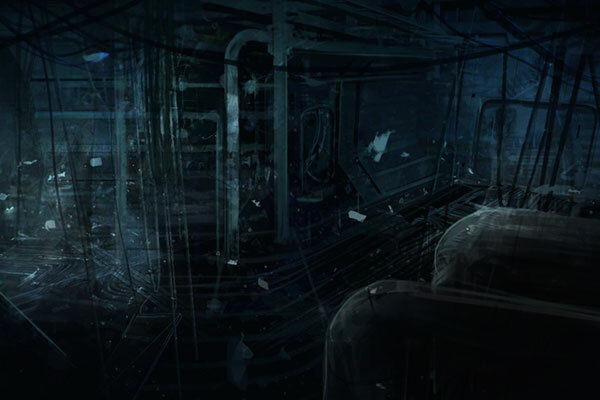 Narcosis would become a completely different experience without narrative component. Maybe good, but muted and missing some of the emotional resonance and intrigue the voice acting provides. As far as voice acting work goes, I’m really just getting started in the grand scheme of things. But ideally, the best voice acting work for me isn’t just about a compelling character, though that’s a lot if it. It’s really about sharing a point of view. Starting a discussion. Harnessing a feeling. We ran through the script several different times on Skype and over the phone. 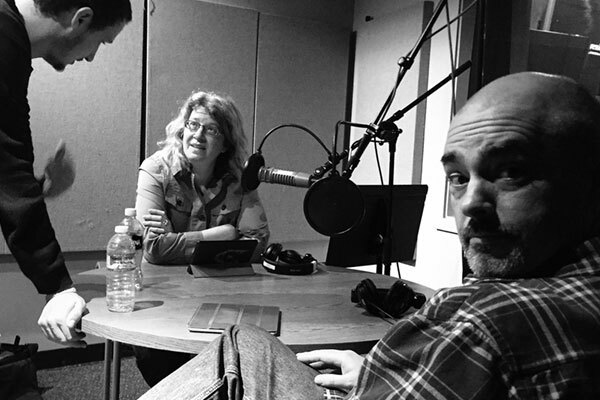 Our first recording session ended up being mostly a trial-run, in the end. The final chapter of the script didn’t even exist at that point, and by the time we had our second session many months later, much of the original script had been greatly refined and improved. That said, David and I continued to refine bits of the script even after the final in-studio recording session, and I recorded a good number of line changes from my home studio. 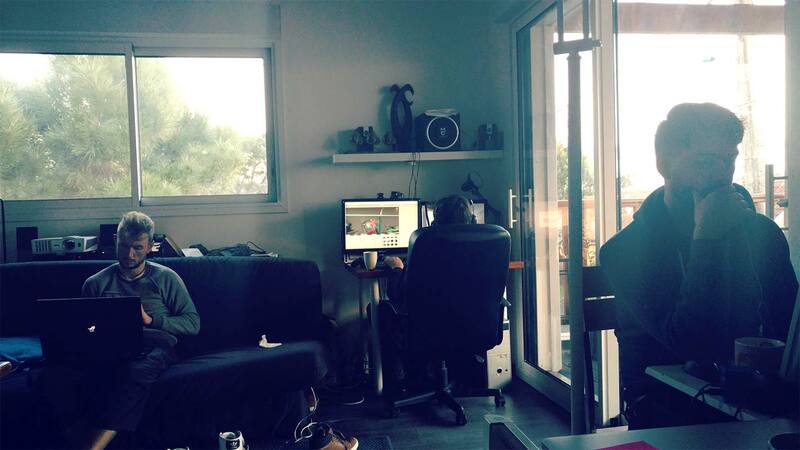 In fact, the last change we did was recorded and implemented just a day before the PC release. 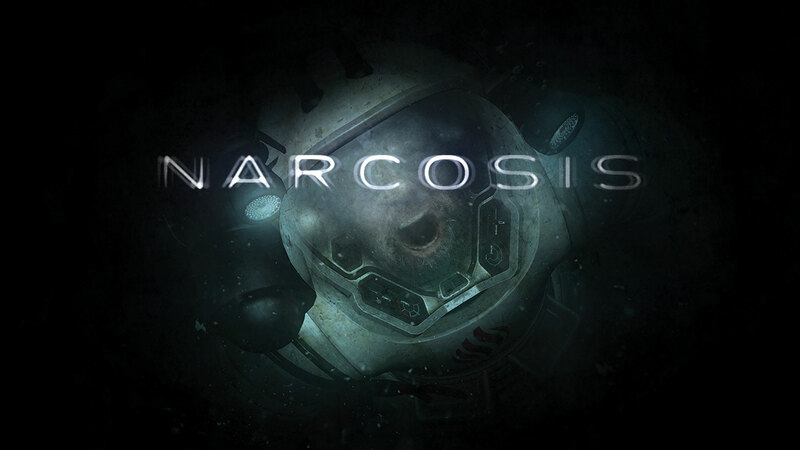 It may sound crazy to say this, but I really think the story in Narcosis – particularly how it’s delivered – benefited greatly from such a protracted process. Creating a story that’s meant to resonate differently in both foresight and hindsight is really challenging, and the extra time really allowed us to put every line under a microscope to make sure they all came together to not only compliment, but elevate the player’s experience. From a performance perspective, there were a lot of tightropes to walk in order to keep the player guessing. Emily: We recorded both ways, and we ran through the script several different times on Skype and over the phone. 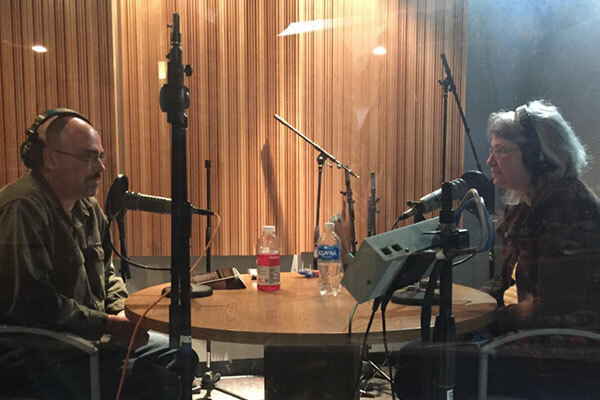 It was great to be in the studio with Jeff. He’s so great and it was really fun to work with him. We had some good times, all of us, working on the script and recording in California. It was a blast. You’re giving the character a voice, literally, but is there a bit of you in there? The vocal cadence of the character I play is more deliberate (and a touch more gravelly) than my natural voice, but for the most part, that’s pretty much how I sound. I love altering my voice to do character work, but Narcosis didn’t require jumping through any vocal hoops. We talked about possible accents for all of 2 seconds. Preparation differs for me from role to role, but a lot of that boils down to the type of research. 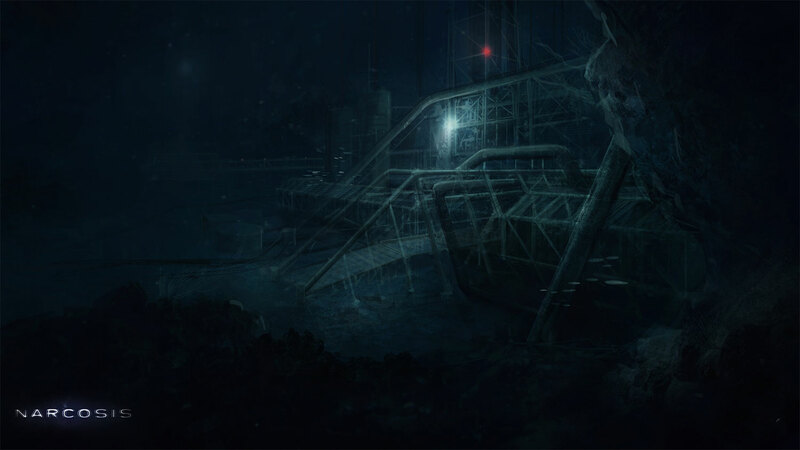 For Narcosis, I read tons of articles about the science behind the game’s premise…which is still sci-fi, but it’s near-future stuff. But what really informed my character most was listening to real survival stories from radio or TV, and reading published accounts of beating impossible odds. My takeaway is that there’s no real way to fully understand what it’s like to survive catastrophe unless you’ve lived it, but I did my best to present a character who feels real. Jeff: As the story unfolds, we peel back a lot of different layers, mess around with perception, and end up with something that’s actually pretty unique from a storytelling angle. So, without getting too spoilery, the biggest challenge for me was walking the tonal tightrope that we’d created with the narration in order to preserve the integrity of upcoming twists in perspective, while still resonating with the player in the moment-to-moment gameplay. Jeff: “When it comes to empathy, there’s no manual for that.” One of my favorites. I think it’s beautiful because it’s probably the line that cuts most to the core of my character. He views himself as sort of an outsider, maybe even emotionally stunted, and this line distills that in a nutshell. And much like the survivor, players of the game enjoy a certain amount of emotional insulation from the events that have been unfolding on-screen for the past few hours.